Advice on how to play the guitar and use dynamics. How to Play the Guitar: Knowing how to play the guitar effectively and use dynamics is essential to performers as dynamics help to spice up your playing, and also your songwriting. Using dynamics when playing the guitar can help you to make your performance stand out from the crowd. Dynamics are also a simple way to add emotion expression to a song. 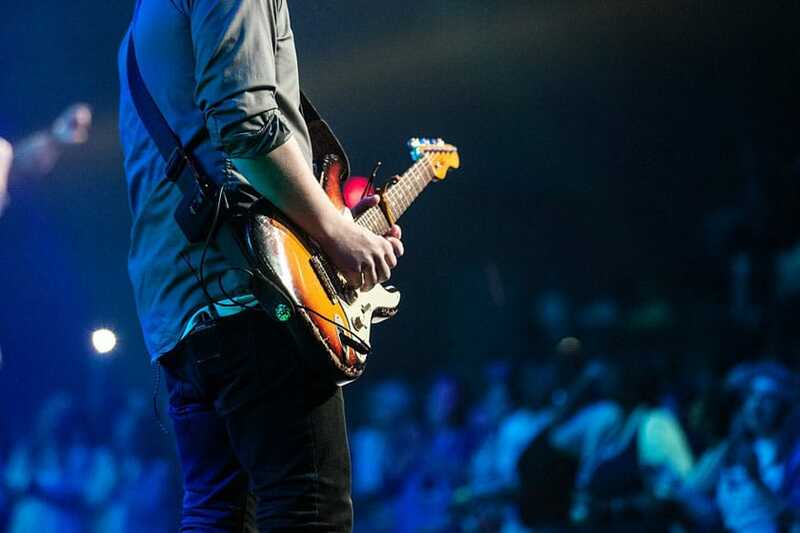 It can be easy to fall into the trap of playing the same riff you’ve become comfortable with since you started learning how to play the guitar. However, the problem with this is that your fans are likely to start loosing interest with your music if all of your music has a familiar sound. Therefore using guitar dynamics exercises can help to build the melody in different ways for each song you compose. A popular technique is to contract between hard driving sections to a softer section, as it allows the song to breathe. Changing between picking and strumming when learning how to play the guitar can be the easiest way to work on your guitar dynamics. The benefits of picking the guitar are that you get a more mellow sound from the instrument. Whereas when you’re strumming it can help to build up a livelier section of the song, helping you to strike a balance between both intensities using guitar dynamics. Using silences and rests in your melody can help to add extra dynamics which help to bring more emphasis to specific areas of your song. Silences and rests can be used to help emphasize a lyric, or even just to build anticipation for the next section of the song. Another way to bring dynamics to your performance is to change up the tempo of the song to spark the attention of the listener. The tempo of the song is the speed at which the underlying beat goes, therefore altering this can be an interesting way to bring dynamics when playing the guitar. A slower tempo will help give a mellow feel to the song, whereas a faster one gives an upbeat impression to the song. Changing up the tempo can help to bring more of an effect to the song and helps the guitar player to emphasise certain sections of a song accordingly. A volume pedal can be used to vary the volume of a performance and create wild dynamics. Volume pedals are popular as they are easier to use than the guitar’s volume control, mainly because they can be operated hands-free, making it easier to do more complex tricks.